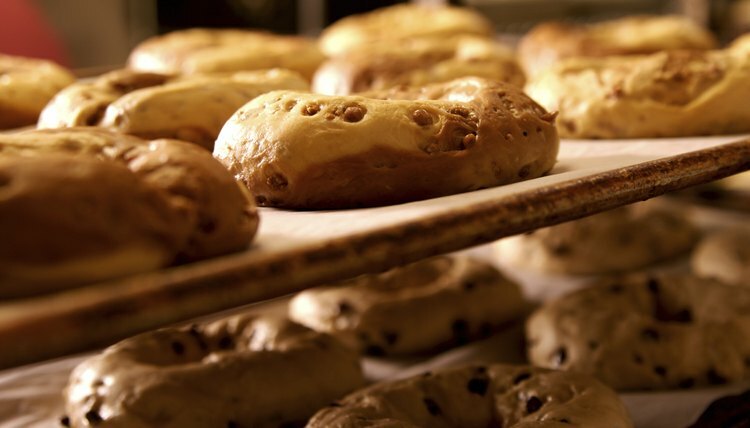 Have you ever wondered how bakeries can produce such a large quantity of items in such little time? Bakeries have such a high turnaround because they use specialty bakery equipment that isn't available to home bakers. Bakeries employ machines to do in seconds what humans would take minutes to do, and industrial-sized equipment that produces a large quantity of items. Dough sheeters are a vital piece of equipment to high-production bakeries. Essentially, dough sheeters are mechanized rolling pins. 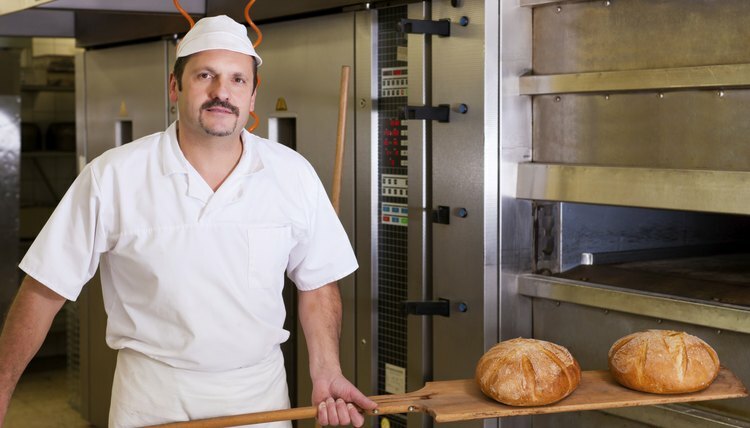 Dough sheeters slash overhead costs because they eliminate the need to employ bakery assistants who roll out dough at a far slower rate than dough sheeters. 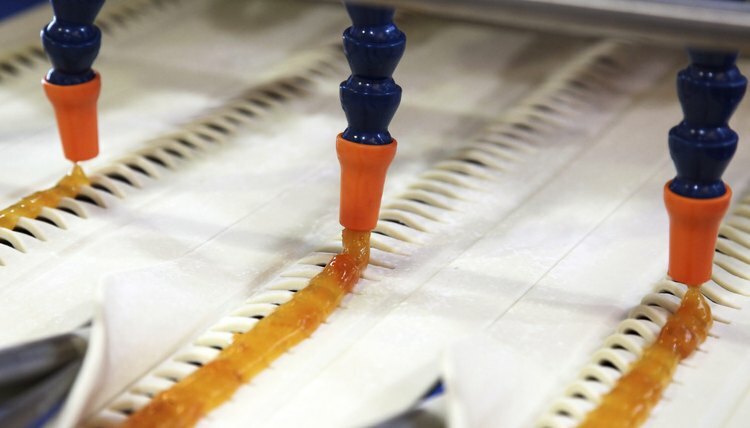 Table models can produce up to 250 uniform pieces of dough per hour. The speed of floor models is a little trickier to calculate, as they typically allow for more customization. Production speed is dependent on the desired shape and thickness of the dough. Mixers are an essential tool in all bakeries. Bakery mixers are used to mix cake batter and make whipped cream, dough, icing and fillings. There are two types of bakery mixers: planetary and spiral. A planetary mixer has universal attachments that can be used to create the above-mentioned bakery specialties. A spiral mixer, on the other hand, can only be used to knead and mix dough that will be used in bread, bagels and pizza crusts. There are four different types of ovens used in bakeries. These ovens are the revolving oven, convection oven, deck oven and rack oven. Revolving ovens are typically used in baking small breads, such as bagels and croissants; because the baking surfaces are constantly rotating, all items in the oven bake evenly. Bakery convection ovens are essentially the same as the convection ovens used at home, the only difference being that convection ovens used in bakeries are much larger in scale. If you've ever eaten at a pizzeria, you've seen a deck oven. Deck ovens contain several flat surfaces that are typically used to bake loaves of bread and pizza crusts. Rack ovens are extremely efficient, as they allow racks of fully loaded ready-to-bake goods to simply be wheeled into the oven. This saves employees a considerable amount of time by eliminating the task of unloading and loading racks of goods from the oven. Cake depositors deposit cake batter into pans and molds. 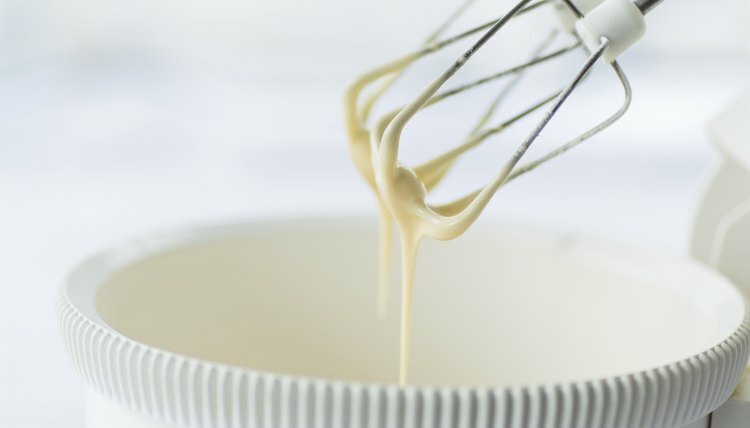 Though cake batter can be poured by hand, cake depositors ensure swiftness and uniformity, which, in turn, increase productivity and the end result. Manufacturers have made significant technological advances to cake depositors. Cake depositors are now used to deposit bread batter into loaf pans, deposit pie filling into crusts, and even ice and decorate the entire circumference of a cake in a matter of seconds. When baking at home, dough can take up to two hours or more to proof. However, bakeries need a quicker turnaround, and proof boxes allow them the quick turnaround they need. Proof boxes are high-humidity/high-temperature boxes that allow for dough to proof in as little as 15 minutes. Additionally, proof boxes provide bakeries with increased moisture in the dough, which, in turn produces a moist and flaky bread or crust. Espinal, Jazmin. "Equipment Used in the Bakery Industry." 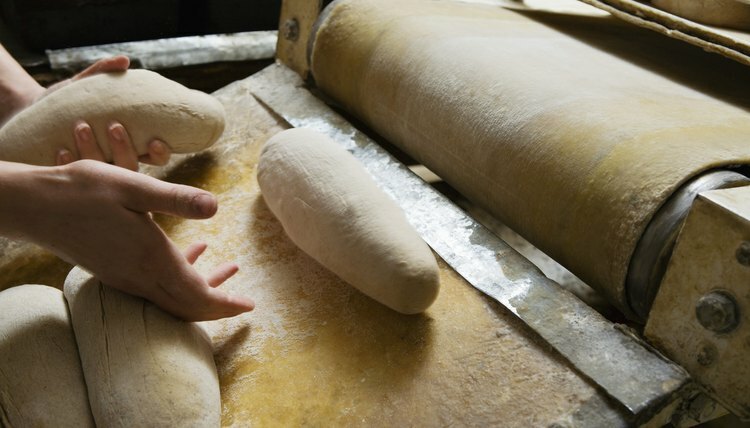 , https://careertrend.com/about-5387992-equipment-used-bakery-industry.html. 27 December 2018.